Gareth Evans’ The Raid: Redemption is frequently—and rightfully—cited as a watershed moment, leading the way for a new wave of action cinema that emphasizes intensely violent, visceral set pieces over all. 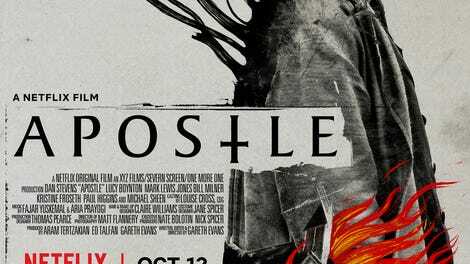 It’s a film that asks: Who needs a complicated plot when you’ve got neck-snapping, bone-crunching violence? Of course, horror movies have been asking this same question for several decades now. And so while Evans’ signature intensity translates seamlessly in Apostle, the director’s first full-length foray into the genre, it also doesn’t feel as special within this particular context. 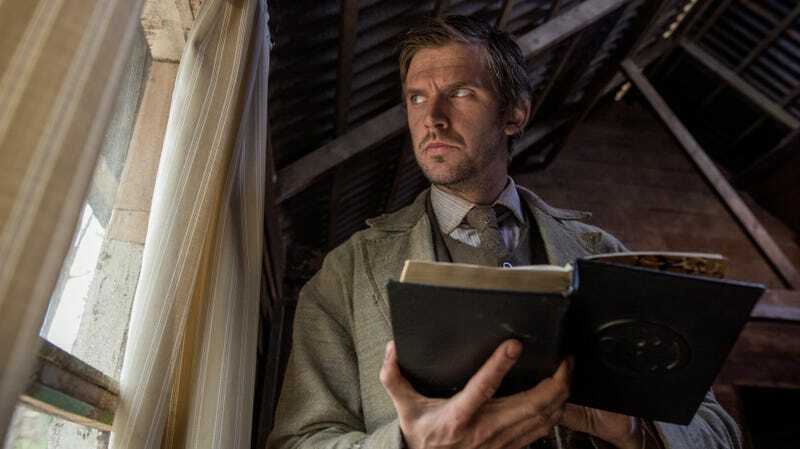 Dan Stevens, his brow fixed into a permanent furrow, stars as the stern Thomas Richardson, charged in the opening scene with rescuing his sister from the pagan cult holding her for ransom in early 20th-century America. After surreptitiously switching his boarding documents with those of another passenger, Thomas arrives on Erisden, a windswept isle where a small group of devotees eke out a meager existence under the leadership of the self-appointed Prophet Malcolm (Michael Sheen). Malcolm preaches a Jim Jones-esque message of socialism and racial harmony to go along with the cult’s earth-goddess worship. The dark underpinnings of this peace-and-love philosophy are belied, however, by Malcolm’s scowling gang of enforcers—not to mention the jars of blood Erisden residents leave outside their bedroom doors every night. The film’s frequent, sudden bursts of intense violence are well choreographed, as we’ve come to expect from this director, and the prickly, folk-influenced score from Evans’ longtime associates Aria Prayogi and Fajar Yuskemal effectively enhances the Wicker Man vibe. The film is also nicely shot with a muddy, hazy look that feels slightly grimy, even when Thomas isn’t literally wading hip-deep in blood and human excrement. But for all his rough-hewn heroism, Thomas is little more than a scowling vessel through whom the story’s many haphazard ideas can flow. Sheen’s charismatic performance as Prophet Malcolm is far more layered and interesting, but by the time the action really begins to pick up, he’s lost control of his story, too. It’s hard to say who’s in control of the narrative as Apostle hurtles toward its murderous conclusion; the film introduces interesting themes as though they’ll build to something, only to let them spill out like so much viscera from an especially nasty wound. Only the strong of stomach will really notice the plot holes during so much bloodletting and screaming, however.